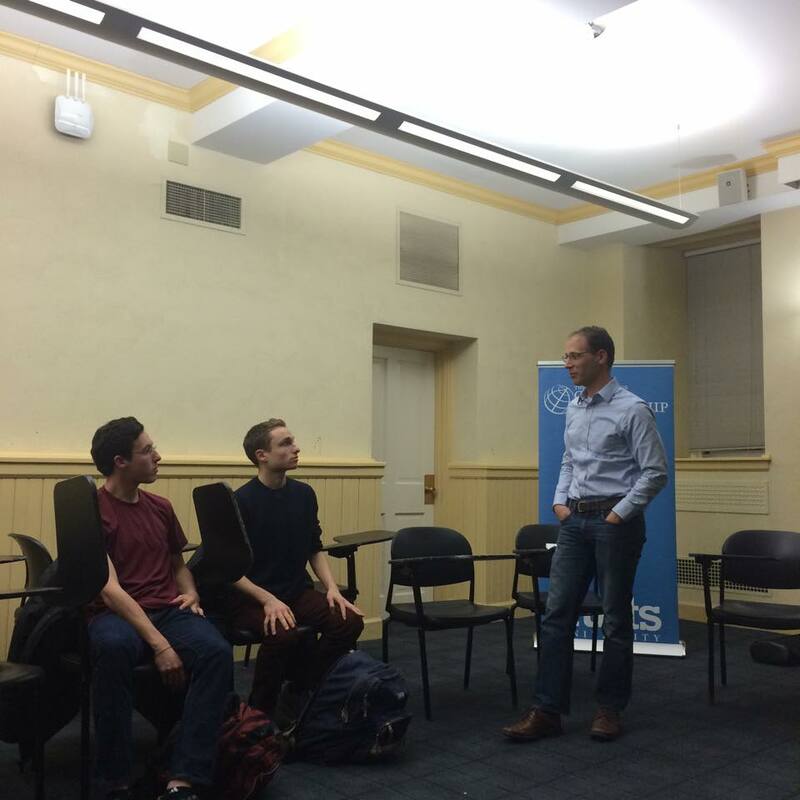 On Monday Synaptic Scholars had our first fireside chat with Dr. David Hammer (Depts. of Education and Physics) and and Dr. Joshua Kritzer (Dept. of Chemistry) present on their pedagogical techniques in the natural sciences. Dr. Kritzer explaining his teaching techniques for organic chemistry to two underclassmen students. At our event, we explored what teaching and learning techniques are most effective in a classroom setting, and how teaching is approached from the academic side as well. Questions raised included, “If we had a blank slate with no requirements, how would we teach the sciences” and “How do you get people interested in seemingly trivial information?” Both Dr. Kritzer and Dr. Hammer provided unique insight into how teaching is perceived both at Tufts and in the US, and what are seen as good practices and what are seen as incorrect, yet traditional methods.